Many people dream of retiring in Spain, to a beachside resort, or maybe a more traditionally Spanish lifestyle further inland. 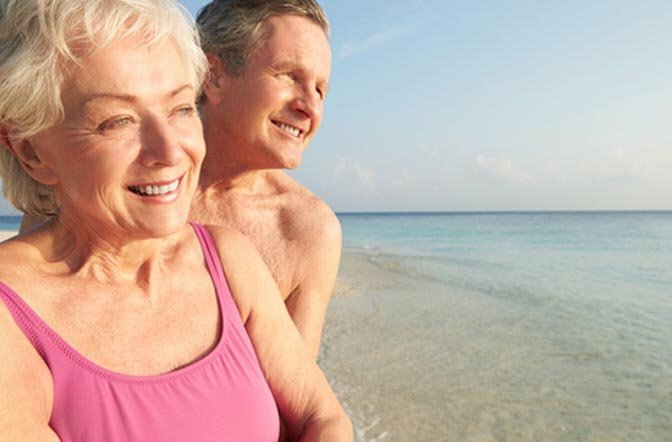 The sunshine is a huge factor for retirees, as it makes living much easier in winter months, and a hell of a lot cheaper, as you save on heating expenses! In fact, the cost of living is much less than other countries, starting with the relatively low cost of housing and healthcare. Your pension income goes that bit further. How Do Living Expenses Compare? Spain is still a relatively cheap place to live, compared with other developed nations. Pensioners who move to Spain, definitely receive a lot more for their money than they would in the UK, for example. What Is The Quality Of Healthcare? Spain has an excellent national health system available to all residents, including those from abroad. Like many countries, there can be a long waiting list for certain operations. Many people find the solution to this is to purchase private healthcare, which is much cheaper than other countries. The housing market has definitely started to recover from the crisis, and now could be the time to buy. Some areas have reduced in price by up to 40%!! But are definitely rising again. You can still find great bargains, but they are becoming fewer and fewer. Andalucia is a very popular retirement destination, as there is excellent infrastructure, and many English-speaking service providers – including Estate agents and Banking services. In international terms, Spain is proving to be one of the safer places when it comes to new threats – we hope it stays this way. Spain has received a lot of investment from the E.U in recent years – this means infrastructure is good, and improving all the time. Roads are generally to a high standard, and the ´AVE´ train network connects Spain to its largest cities in amazing time. Obviously, Brexit has thrown a lot of confusion for British ex-pats, and we still are not sure what the final result will be for British citizens wishing to to live in Spain. At the moment, any EU citizen wishing to live in Spain as a retiree needs to obtain an EU from E-121 before travelling. This entitles the holder to health care in Spain. You will also need to demonstrate an income if you are not entitled to a State Pension. • Certificate from a public or private institution that proves you will be receiving a regular pension, together with details of that pension. • Proof of any other sources of income you have together with the details of any properties in Spain you own. • Proof of ownership of any property in Spain that you own.